Each section begins with a succinct section introduction, and the volume concludes with an afterword relating the theme of the volume to issues in curriculum development. The chapters include both experimental and qualitative approaches to the topic, some providing original accounts of specific studies, others offering overviews of linked series of studies. 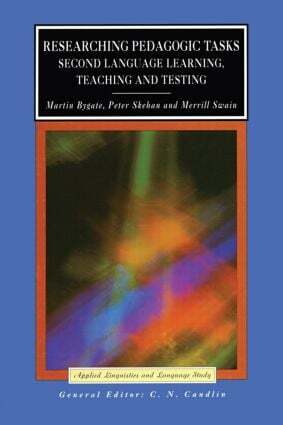 Martin Bygate is a Senior Lecturer in TESOL at the School of Education, University of Leeds. He has written extensively in the past, including the volumes Speaking (1987) and Grammar and the Language Classroom (1994). Peter Skehan is Professor of Applied Linguistics in the School of Education, King's College, London. His previous publications are in the areas of individual differences in second language learning, second language acquisition, and language testing. Linguistics, and is currently a Vice-President of the International Association of Applied Linguistics.